Production AV have a wealth of experience in providing concert and live performance AV solutions. 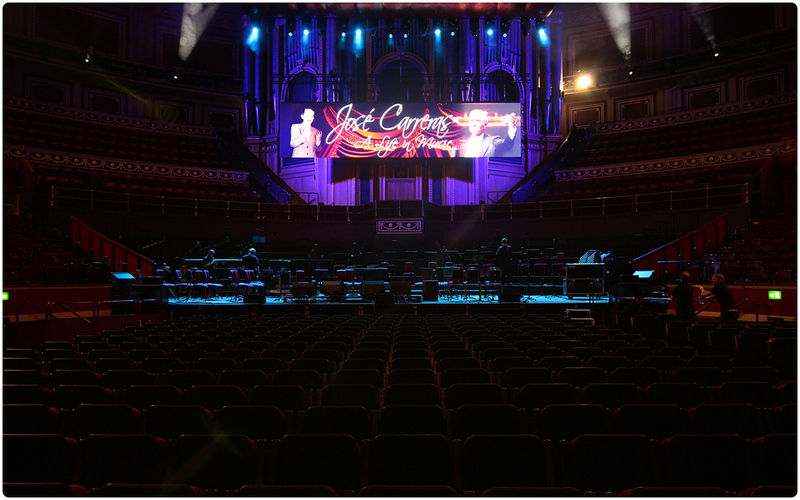 Being part of the SFL Group, we enjoy the privilege being the screen supplier for the Royal Albert Hall and have been apart of some wonderful productions. We can provide screens and projection for single venue events or for tours. Our high definition, stunning indoor and outdoor LED screens are perfect for adding the wow factor to your concert or live performance. These screens will add a little extra excitement and magic to an already special night. The versatile screens can be built from the ground up, flown above the ground using a truss structure or put into a custom set. Using our selection of top of the range cameras, we can add that extra level of production quality by streaming live video to the LED screens. We can provide full camera systems as well as media servers and playback devices. Production AV can offer a complete video solution and we want to work closely with clients to achieve their aims whilst staying on budget. If you are interested in reading an in depth and technical explanation of one of our live performance AV solutions, follow the link below.